Netflix knows you love serial killer content, and thanks to its recent Ted Bundy documentary, it also knows you specifically love Ted Bundy content. 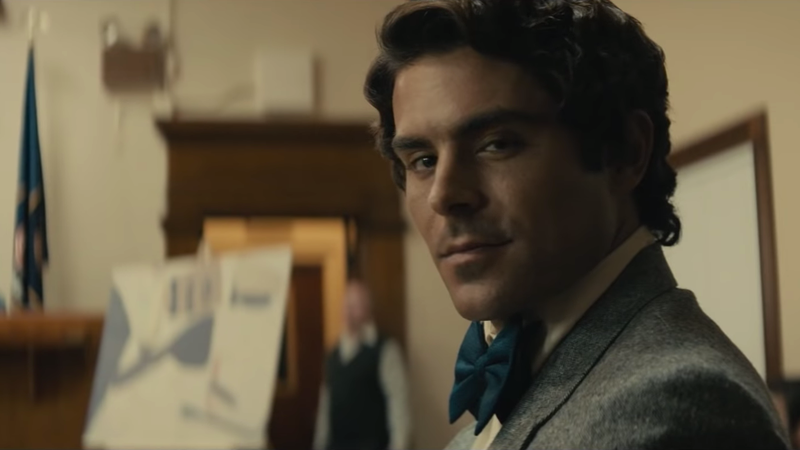 With that extremely valuable market research, Netflix has apparently decided it’s a good idea to throw a ton of money at Extremely Wicked, Shockingly Evil And Vile, director Joe Berlinger’s movie with Zac Efron as Ted Bundy. According to The Hollywood Reporter, Netflix paid a “staggering $9 million” for the distribution rights to the film, beating out traditional studios like STX and Lionsgate, and it will reportedly give the movie an awards season-based theatrical run later this year. In his write-up at Sundance, our own A.A. Dowd noted that Berlinger’s film presents Bundy’s many crimes “from a position of feigned ignorance” by leaving all of his murders off screen and telling the story from the perspective of Bundy’s girlfriend, Liz Kendall (played by Lily Collins). Dowd noted that one of the problems with the film is that the audience most likely knows that Bundy definitely committed his crimes already, which is especially going to be true for murder fans who subscribe to Netflix (since they’ll probably have already watched the Conversations With A Killer documentary that recently hit Netflix and was also directed by Berlinger). But hey, it’s Netflix’s $9 million, so we don’t really care what it does with it.